One thing that insurance brokers often do not focus on (and perhaps should) is how to keep their clients and their potential clients healthy. The healthier you are, the less loading you will have on your life and medical insurance policies and the cheaper your insurance will be. More importantly, staying healthy is just as important in all your other areas of life; work, play and achieving your goals. So we're putting together a series that will keep you updated on the latest medical discoveries and advice on how to keep yourself in tip top shape. First off, since everyone usually kicks up up a stink about unrealistic and untasty diets that health professionals sometimes demand, here's something we all like. Honey! Honey has been around thousands of years, with even ancient cultures apparently aware of its health benefits. The use of honey in medicine and treatment goes back a long way. Four thousands years plus actually, when honey was used in ayurvedic medicine by early societies to balance material impurities in the body. In Ancient Egypt, honey was applied to treat wounds, there is mention of it in the Quran and in the records of the Ancient Greeks as a food which could improve longevity. Now, modern science is coming to the same conclusion. The slightly acidic pH level of honey (between 3.2 and 4.5) is what helps prevent the growth of bacteria, while its antioxidants get rid of free radicals. So how can honey help? - There is anecdotal evidence of its efficacy in treating burns and wounds. - Alleviating allergies - one conducted study showed that it was significantly more effective than a placebo at alleviating ocular allergy. - A study published in the journal Microbiology revealed that Manuka honey is effective at treating chronic wound infections and may even prevent them from developing in the first place. - A study published in the journal Pediatrics, which compared honey to placebo in helping children with cough during night time, found that honey was superior. 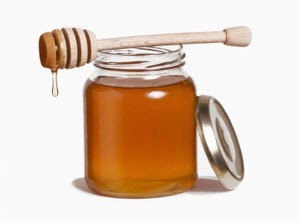 - Honey is great for your skin and can be used to smooth and remove skin impurities. - Honey is all natural and a healthier dietary option than synthesised, artificial spreads. How to lose that troublesome belly fat. Can chocolate help prevent obesity and diabetes? Weight loss tips from the experts. In the past week, Southern Cross has released the statistics for the top five claim areas for men and women in each age band between 20 and 70. Southern Cross Chief Executive Peter Tynan explains that the results show that people who are taking out health insurance need to check to ensure their policies cover what they need. Each age band was highly different in the type of surgeries or medical procedures that were most common, and knowing this information should inform your health insurance decisions. Males between the ages of 20-30, whom Peter remarked often felt invincible and in our experience are the group that neglects health cover the most, nonetheless required claims most often for hernia repair, colonoscopy and excision of skin lesions. Women of the same age range claimed most often for freeing abdominal adhesions or ovarian cyst surgeries. These costly procedures required by people so young demonstrate the costs of being un-insured or underinsured, and we urge everyone to bear this in mind. I myself thank my lucky stars I got health insurance when I was young (or more accurately, my conscientious mother insisted on signing me up) because I've actually had to claim for a colonoscopy and a surgery, as well as many specialist visits after the age of 20 which I could never have foreseen. It is also crucial that you think about medical insurance while you're healthy, as the presence of pre-existing conditions makes things very awkward, complicated and expensive, whilst it is clear sailing if you don't have any at the time of taking out your insurance. Women: Removal of teeth, endometriosis surgery, freeing abdominal adhesions, ovarian cystectomy, excision skin lesion. Men: Removal of teeth, excision skin lesion, septoplasty, hernia repair, colonoscopy. Women: Endometriosis surgery, hysterectomy, excision skin lesion, cholecystectomy, removal of teeth. Men: Removal of teeth, colonoscopy, excision skin lesion, hernia repair, septoplasty. Women: Hysterectomy, hysteroscopy, excision skin lesion, colonoscopy, endometriosis surgery. Men: Colonoscopy, excision skin lesion, hip replacement, hernia repair, coronary angioplasty. Women: Colonoscopy, hysterectomy, hip replacement, excision skin lesion, knee replacement. Men: Hip replacement, colonoscopy, excision skin lesion, coronary angioplasty, hernia repair. Women: Knee replacement, hip replacement, colonoscopy, cataract, excision skin lesion. Men: Knee replacement, hip replacement, excision skin lesion, coronary angioplasty, colonoscopy. Women: Cataract, hip replacement, knee replacement, excision skin lesion, colonoscopy. Men: Knee replacement, cataract, hip replacement, excision skin lesion, coronary angioplasty. Contact us for information and the best deals on your health insurance. Read how health insurance helped me out when diagnosed with Crohn's Disease.